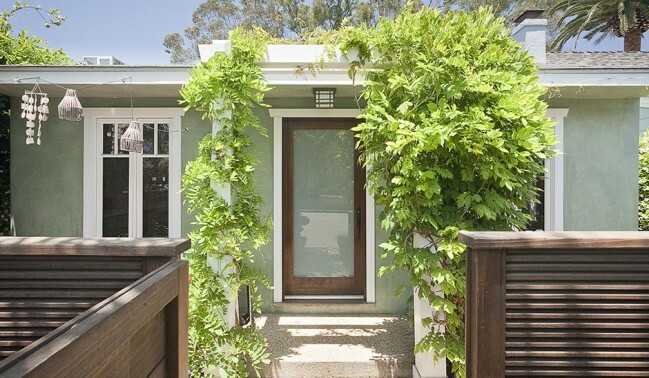 This adorable bungalow was re-invented to mix vintage details with a modern sensibility. 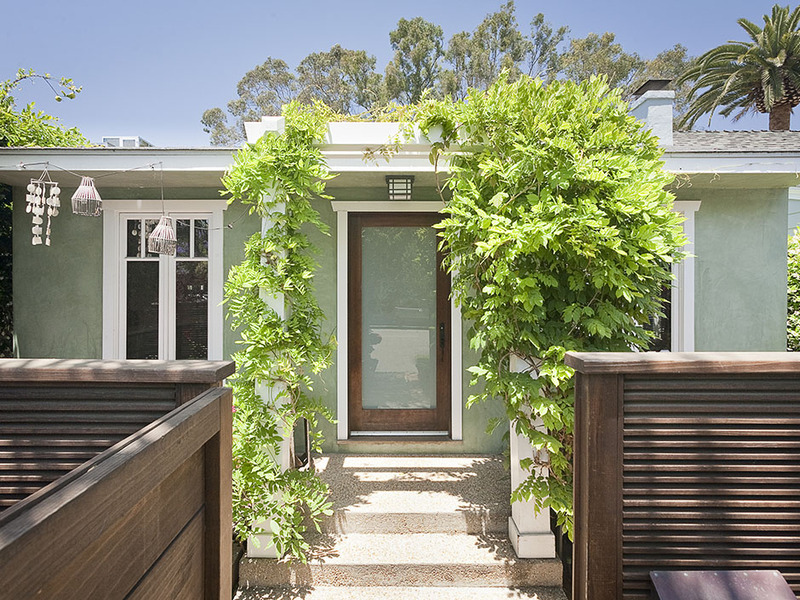 Ideally located by Abbot Kinney and the beach, this home offers open plan living and dining spaces with French doors leading to the outdoors. There is an eat-in kitchen, cherry wood built-ins, wood burning fireplace and hardwood floors. The master bedroom features raised ceilings, a skylight and generous cedar closets. There is a roomy Master bath with walk-in shower and the 2nd bedroom features an ensuite bath. Inviting outdoor spaces include front and back garden and off-street parking. The bedrooms sit on one side of the house, and are the truly masterful master suites, with their own outdoor terraces, spa-like bath, and spacious double walk-in closets. Broad openings with telescoping Fleetwood doors allow the year-round enjoyment of the great weather and the spectacular views.